Whether you want a quiet corner to finish your book along with a perfect Negroni, to observe an extraordinary bartender in action, or to join friends for a round of 100 Reasons Rye on a comfortable booth bench, Stookey’s Club Moderne is the place for you. The club offers an art-deco atmosphere and 1930s-inspired cocktails, plus music, lectures and events related to the same era. Both its 100 Reasons Rye and its Negroni are aged in new charred American oak barrels, which deliver a more robust flavor than French oak. Tim Stookey, who owns the bar along with his wife Leslie Cole Stookey and her cousin Aaron Cole, premixes the cocktails and ages them for about a week, or, as he said, until “you can drink it without any ice, without any harshness.” The 100 Reasons Rye comes with a show of flaming orange peel and has the subtlest hint of smoke in the nose. The Negroni made me cry, for I fear that few other cocktails in my life will ever compare. 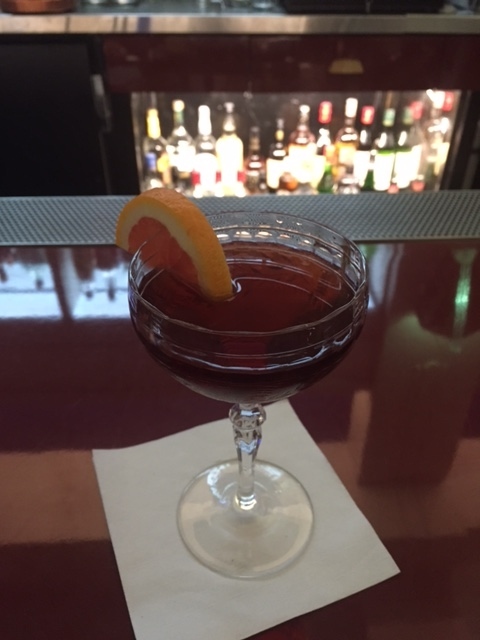 The nose features soft, faint notes of oak forest, orange blossom and the botanicals of Boodles gin, the bitter Campari is paired with Aperol, and the Dolin sweet vermouth is paired with Alessio Vermouth Rosso. The effect is so smooth and complex, from floral to bitter to juniper to oak, back to floral, to orange – and it’s incredibly musical in its long delivery of notes. Like the finest of wines, nothing else can compare. For cold rainy nights, try their Hot Buttered Rum, made with both Coruba and Smith & Cross Jamaican rums, a secret recipe given to Stookey’s by a neighbor, Mathew Cardwell, the dessert chef at Sons & Daughters. 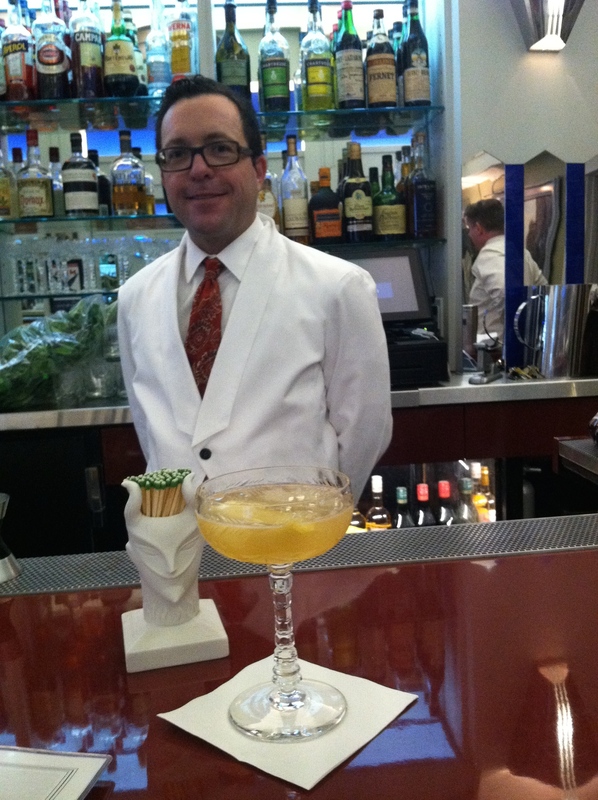 The 20th Century is taken from the U.K. Bartenders’ Guide and originated at Cafe Royal in London in the 1930s. Tim has perfected it so it peaks your curiosity with the very subtle flavors of orange and almost imperceptible chocolate, and then ends with a bright lemon finish. For winter, Stookey’s just developed the Alondra. The cocktail begins with El Tesoro Tequila Reposado and includes Quina de Oro, lemon, orange bitters and Proving Ground IPA, giving it a bright and bitter flavor warmed by caramel tones. It’s a perfectly refreshing drink for a cold day! No one has ever turned down a Brunelle, made up of lemon with hints of creamy tropical flavors, bookended by tickles of absinthe on the tongue. 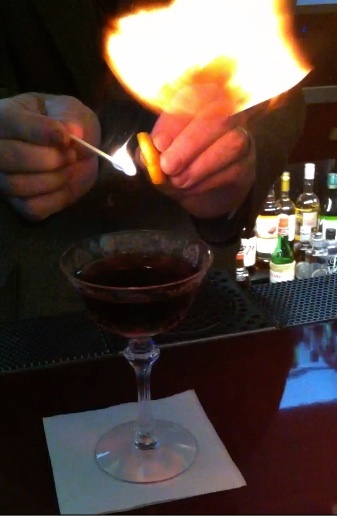 And don’t leave without trying a seasonal Jack Rose. This cocktail, the antidote to the heavier winter cocktails, provides a lime nose and apple and rose flavors while still delivering a very dry finish. Stookey’s serves free bar snacks, including Cheez-it crackers, because the latter were invented in 1921, early in the Depression. In 1923, Favormen’s Pharmacy #24 was at the corner of Bush and Taylor. That seems plausible, except before Prohibition there were no Favormen Pharmacies. During Prohibition, pharmacies could sell prescription alcohol (sound familiar?) so suddenly “pharmacies” started popping up in every San Francisco neighborhood. When Prohibition ended, Favormen’s became a liquor store. Then, in 1943-44, it became Cozy Corner bar. In 1950, it was an underground gay bar called Have One. Its phone number changed every year in The Yellow Pages (you can draw your own conclusions). In the ‘60s, the space became Drift In, which shifted in the ‘80s to Yang Song. 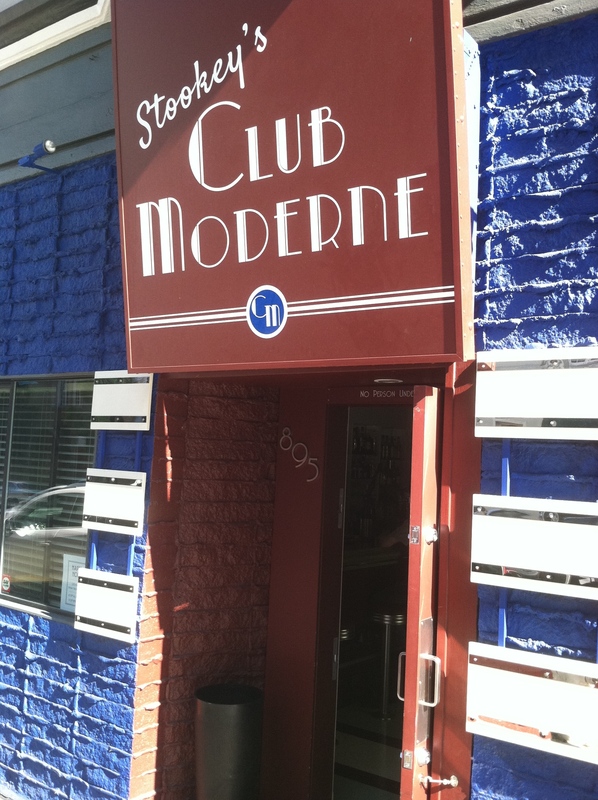 It became the Royal Tug Yacht Club in 2013, then Stookey’s Club Moderne a year ago. Stookey’s is named in honor of Joe Morello’s Club Modern, a speakeasy that turned into one of San Francisco’s first nightclubs and was located down the street. To transform their new space into a 1930s art deco dream, owners Tim, Leslie and Aaron sought out architect H. Lynn Harrison, preservation director of the Art Deco Society of California. Harrison’s idol is Timothy Pflueger, the famous San Franciscan architect and interior designer known for the Castro and New Mission movie theaters, as well as the Patent Leather Bar at the St. Francis Hotel and the Cirque Room at The Fairmont. 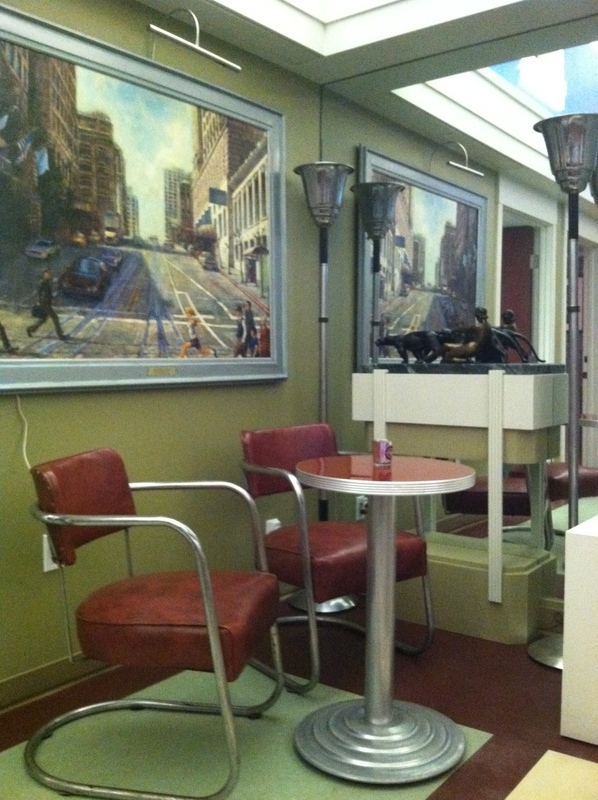 Stookey’s decor is late-‘30s streamline modern. The lines are clean and symmetrical. 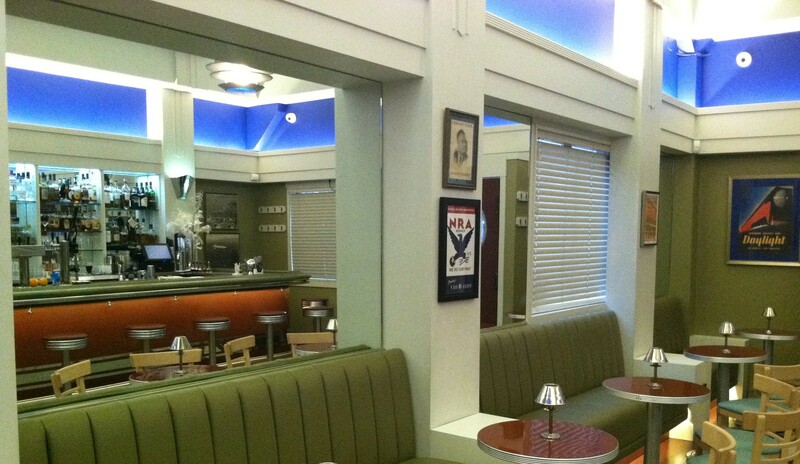 The bar and tables are edged with chrome that matches the clock and wall sconces. The linoleum floor in green and burgundy frames the room, and pictures of President Roosevelt and a WPA announcement punctuate the walls. The room might be a train station waiting area, circa 1935, except it serves the finest cocktails! What to expect at Stookey’s and from this dynamic trio in the future! They will be hosting themed evenings such as Cuban nights, with a special cocktail menu and talk about how to travel to Cuba, the Church of Frank Sinatra and live acoustic jazz of the 1920s-1940s. Sunday’s include 78s played on a wind-up Victrola. Stookey’s will be collaborating on events with bookstores such as Green Apple and City Lights, and it will continue to host lectures and discussions on art deco architecture, fashion, history and music. Stookey’s also rents out for private parties and events, and it has a mobile cocktail catering service. Word has it that Stookey’s may soon be selling bottles of its 100 Reasons Rye. Put all ingredients in cocktail shaker, add cup of ice, shake for 10 seconds and strain into cocktail glass. Garnish with a lemon peel or twist. Put all ingredients in cocktail shaker, add cup of ice, shake for 10 seconds and strain into cocktail glass. Garnish with a lime wedge. References: Drinking the Devil’s Acre: A Love Letter from San Francisco, Duggan McDonnell, Chronicle Books, 2015 (via Amazon or Indiebound). The Art of the Bar: Cocktails Inspired by the Classics, Jeff Hollinger & Rob Schwartz, Chronicle Books 2006 (via Amazon or Indiebound). 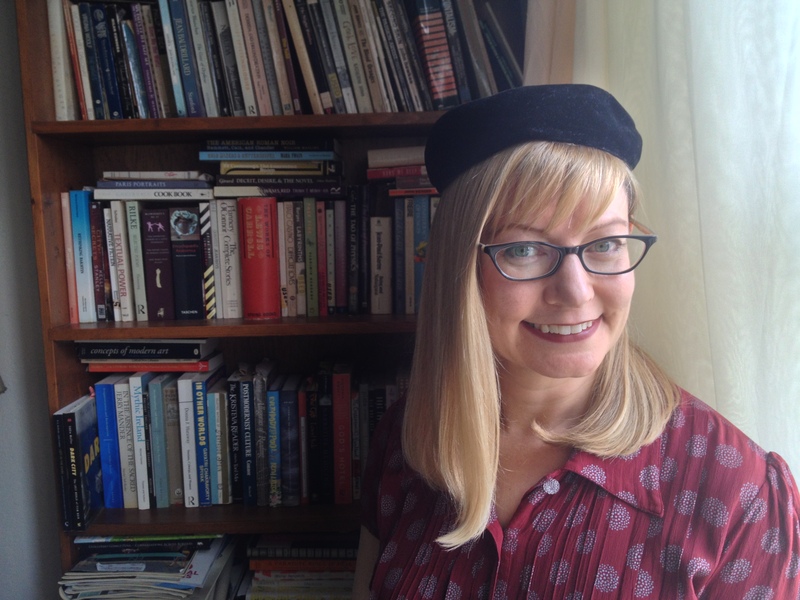 Julie Maravelis Lindow (aka Jules Lind) is currently working on a series of detective novels set in 1940s San Francisco. Living in and creating a continuum from past to present makes for many a foggy evening walking through time, up and down hills, from libraries, to downtown, to the grand Pacific Ocean. As editor of Left in the Dark: Portraits of San Francisco Movie Theatres, she wishes she were spending more time in San Francisco’s historic movie houses, what is left of them, but there has been a lot of work to do lately. This entry was posted in Drink, Drinks: Cocktails and Other Alcoholic and tagged cocktails, Drink, Julie Lindow, Stookey's Club Moderne. Bookmark the permalink.